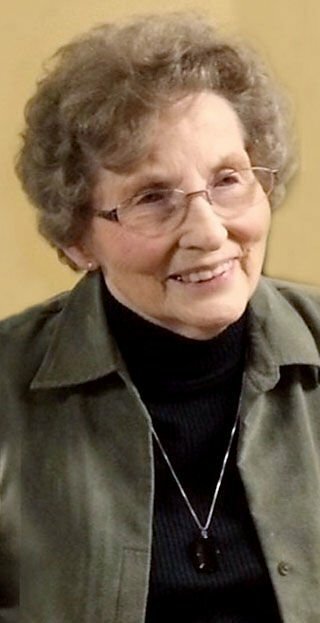 Maxine Eleanora Larson, age 88, of Eau Claire, formerly of Menomonie, WI passed away Thursday, April 11, 2019 at Mayo Clinic Health System – Red Cedar in Menomonie. Maxine was born August 18, 1930 in Grand Forks, ND to Ernest and Tena Nelson. On Aug. 26, 1948, Maxine married Marvin L. Larson in Thief River Falls, MN. They were former owners of Madsen Jewelers in Menomonie and Maxine later worked at Hallmark in Menomonie for many years. She was also an active member of Christ Lutheran Church. After Marvin’s death, Maxine moved to Orchard Hills Assisted Living in Eau Claire. Maxine is survived by three daughters, Connie (Greg) Lang, Colleen Allen, Carol (Larry) Hoffstatter; two grandchildren, Brian (Amy) Lang, Heather (Brad) Spencer; five great-grandchildren, Ella, Molly, Kylie, Jaxson and Cole; one sister Elaine Luoto; and a sister-in-law Bonnie Nelson. She is also survived by nieces, nephews, other relatives and friends. She was preceded in death by her parents; husband Marvin; grandson Theodore Allen; son-in-law Dr. James Allen; and two brothers, Leonard and Duane Nelson. A Memorial Service will be held at 2:00 p.m. Tuesday, April 16, 2019 at Christ Lutheran Church in Menomonie, with Pastor Randy Skow-Anderson officiating. There will visitation at the church one hour prior to the service on Tuesday. Burial will be in Christ Lutheran Halvorson Cemetery in Menomonie. Olson Funeral Home in Menomonie is serving the family.